What sort of values and pedagogy are reflected in the c and X MOOCs? What changes have occurred as a result of the introduction of MOOCs into institutions (higher education institutions in particular)? “I don’t think we can emphasize too much this distinction between instruction and provocation, facts versus knowledge, discipline versus inspiration, information versus insight,” Delbanco said. It seems that our traditions are based more on instruction, facts, discipline and information, which have all been revealed in the latest MOOCs. These questions help guide our information-gathering process to determine if we have developed enough meaning to implement the change effectively or whether to reject it. 1. Adopting MOOCs as a disruptive innovation to combat the disruptive impact due to numerous MOOCs and to drive down the cost of higher education delivery in their institutions. Most elite institutions are interested in embracing MOOCs mainly because that would help them in maintaining leadership in Higher Education, by the adoption of online education, and to experiment with “best practice” that they have in mind. This will further ensure their continuing world leadership position in the provision of Higher Education. Besides, most institutions realize that power of disruption against disruption may be the best strategy that they could employ, to avoid being “defeated” when waking up, when everybody else is playing the game of MOOCs. 2. Adopting MOOCs to promote particular pedagogy, and in the case of xMOOCs, the effectiveness of Instructivism and Mastery Learning. These are rational strategies, especially for elite institutions, as that is where best professors are employed to teach the best courses in the world. Have we shared a common understanding on all these? Isn’t it true that professors still have different views about MOOCs? There seem to be some resistance from the professors as revealed in various incidences. There are however differing views on how these pedagogy are used effectively in MOOCs, especially when the outcomes are often interpreted differently by different authorities and educators. I have shared here What does a world class MOOC look like? This is a big question and we have seen many cultures come and go, in organisation, networks, communities and society. Take for instance climate change debate. We once have an interest in understanding climate change and how and what we could do to change the world, in saving the world. What emerged out of this climate change are solutions based on sustainable work practices. We are now implementing these Sustainability in Higher Education. But what happens to Higher Education? Having a culture is great, but should culture be able to embrace change? A change that supports sustainability. It takes me awhile to re-conceptualise what educational changes there are, and what MOOC is trying to achieve. Solutions to wicked problems are not true-or-false but good-or-bad. Every implemented solution to a wicked problem has consequences. Wicked problems do not have a well-described set of potential solutions. Every wicked problem can be considered a symptom of another problem. The causes of a wicked problem can be explained in numerous ways. Locating a new freeway or homeless shelter. Optimizing all the features on a new model car. Deciding on the best way to re-engineer a business process. Wicked problems arise when an organization must deal with something new, with change, and when multiple stakeholders have different ideas about how the change should take place. So, if the problem is deciding on the best way to re-engineer higher education, surely this is a WICKED PROBLEM that we are all facing. This post summarises some of the problems of higher education well – like rising tuition fees and the perception of inferiority of online education as compared to face to face education in the past. You might come up with a symptom of another problem behind higher education. I hope this is my last post on Higher Education in 2012. Let’s bring hope to 2013, and resolve all those wicked problems. Yes, argues Tim in his post on change. What sorts of changes do people love? People would love to change, based on those changes for the better, not worse, at least personally. My observation is: people would only change for reasons, though those reasons may not be that obvious to us. There are always emotions attached to any changes, whether such changes relate to our study, relationship, marriage, health, or our career etc. For instance, we would likely embrace changes which could improve our health conditions, once we realized that we have some health problems or issues. These might be revealed in medical check-ups. We would more likely change our life style if we are not satisfied with the existing living or working conditions. The choice that we have is: change. Who moved my cheese is a good story to learn from, where I have posted here. Change, change management and transformation has become a part of our life, where we all need to respond, or adapt to. Do people love change? May be, if that would lead to a better life for them. What change strategies have you adopted in respond to your internal or external calls for change? Which strategies were useful to you? This presentation on Power and Ecosystems of Change – by Ann Pendleton – Jullian is amazing. was used to explain the connections between the various parts of the ecosystem. Ann points out the changes involved – from control to communities to cohorts. Also triangles are fractals in nature. To me, such forms of triangles have always evolved in social networks as I have shared in my previous posts, see here and here. I think some of the micro-narratives have evolved as fractals that are further embedded as “fractals” as appeared in social networks – the social networks patterns. The textexture is an example illustrating how a narrative could be visualized in a network form. Another example is the Linked In Network, as illustrated below with the social network graph. Recent MOOCs had adopted a learning as change approach towards “de-centralising” the power that may be connected with “groups” and further distributing the knowledge based on authentic learning with PLE/PLN as the principal basis of personalized learning. I will continue to explore this pattern of change in my part 2. I would like to reflect and respond to this post by Joshua Kim on playing-role-mooc-skeptic-7-concerns. What is behind the MOOC? The flipping the classroom as a way to deliver the content. In the past, we have conducted research into MOOC, with a view to continuously improve and innovate, rather than being complacent with the way MOOCs were implemented. The present x MOOC seemed to present huge challenges to institutions, educators, scholars, researchers, and even learners, in many ways. There are interesting discussions on how will MOOCs affect higher education. 1. Education Requires Dialogue: Massively open online courses are wonderful things, but they should not be confused with a higher education. A MOOC, if well designed, can be a terrific method for information transfer, practice and assessment. Education contains all these elements, but an authentic educational experience requires dialogue. If our campuses are running courses that are absent real dialogue between students and instructors then we guilty of educational malpractice. MOOCs might expose this pathology (which would be a good thing), but they will not be the cure. MOOC which are designed with an instructivist approach focuses on information transfer, practice and assessment. I fully agree that an authentic educational experience requires dialogue. That is why there is a need to shift the focus from the mere instructivist approach to a constructivist/social constructivist/connectivist approach, especially when designing a MOOC for higher education. However, when the audiences (or target participants) are all university students with a mix of novices and veterans (seniors or graduates), then a mix of instructivist (behavioral/cognitivist), constructivist, social constructivist, and connectivist approaches may be more appealing to cater for a range of learners. What is important is not about the content only, but the process and pedagogy that could facilitate learning and teaching in such a platform and environment. Dialogues which are based on shared understanding, negotiation, in both learning practice and assessment would enrich the educational experience of both teachers and learners. 2. Authentic Learning Does Not Scale: The problem with creating authentic learning environments for higher ed is the impossibility of scaling up the experience. Past a certain ratio of students-to-educators learning efficacy degrades rapidly. Technology can be a mechanism that helps bring intimacy and personalization to learning, but we can only push this so far. I love the idea of pre-recorded lectures and rich online practice and assessment opportunities, but only if these elements free up time, space and energy for genuine and sustained interactions between students and instructors. A real education requires the development and nurturing of real relationships. The “massiveness” in an open online course was never intended to be the case in the traditional connectivist MOOC, and also not the case of AI, as Professor Sebastian Thrun mentioned it. To scale up the experience does impose challenges for educators and learners, as we have learnt and experienced in past MOOCs. What might be the threshold of such students-to-educators ratio? In small groups , it seems that the optimum size would be 30. However, in a MOOC, what is more important is how the learners could connect with the artifacts, professors, experts, knowledgeable others and peers, in order to interact and learn in a such a platform. The learners need to be aware of the choices he or she has, when learning in a MOOC, and this could be a huge challenge for the educators facilitating or teaching in such platform, in that these need to be “explained” up-front, or be explicit in the MOOC design. I still think “flipping the classroom” has been around for years, so using short videos for teaching is just another way to cater for the learners needs. To encourage people to make more short videos lectures and artifacts open to public (say posting on Youtube, slideshare) is an excellent attempt to teach and learn in a digital world. Refer to this post on Khan Academy for the critique. She emphasizes the importance of making her own videos rather than taking others’ work off the Internet. Teaching via video is not new. Open University in Britain has offered distance higher education since the early 1970s, mostly through television and video in the beginning, and now through the Internet. What I am concerned is the empty promise of “flipping the classroom” just to add another new name to digital pedagogy, leading it to become just another “fad” in the design and delivery of online education & learning, without critical examinations, evaluations and reviews of the pedagogy. As shared, the underlying principles of flipping the classroom should be based on a focus on the learners’ learning, with a balanced learner-centred approach where teaching and learning is situated. Here learners could make an informed and “wise” choice, and be (and thus becoming) an autonomous life-long learner, as a result of the teaching/learning. This is where self-directed and organised learning could be coupled with COP (Community of Practice), NOP (Network of Practice), where peer-to-peer learning could be leveraged, in networked learning, and under a networked learning environment and platform such as MOOC. 3. More Inputs, Not Less, Equates to Better Educational Quality: We will not find a magic bullet that will lower the cost of higher education the way Moore’s law has lowered the price of microprocessors. Higher education is costly because real learning relies on relationships and dialogue, and the educator side of this equation is expensive. As a society we need to find the political will to invest more dollars in higher education, not less. Using an economic model to evaluate education (higher education) is both necessary and important, as that seems to be one of the deciding factors of higher education – in terms of its added value to community and society. The problem of education is still economic, as cited by George in his post on the future of education and the imponderables. Are MOOCs a way to challenge or disrupt the current education system? May be the educator side of the equation is expensive, as we still need professors and expert educators to design and deliver the MOOCs. Presently, more than 100 million dollars have been invested in the various x MOOCs. 4. MOOCs Come With Opportunity Costs: If we decide to launch a MOOC then we better do it well. The last thing our institutions will need are public online classes that are not representative of the quality of our courses. And doing a good MOOC will be expensive, as designing for large numbers requires different learning design and course management strategies as traditional (smaller, closed) courses. We should talk about what we will not be doing if we invest in designing, supporting and sustaining a MOOC. Even if we get outside funding (which would be great), I’m almost certain that this funding will not create all new people on campus to work on the MOOC. Rather, you will want your best faculty, learning designers, librarians, technologists and other education professionals producing your MOOC. These people will not be able to do other things. I wonder if a focus on creating quality blended courses, courses for our enrolled (and paying students), might in some cases be a better use of scarce time, attention and resources. This depends on the institutions, and I have shared my ideas on the business models of MOOC here. 5. MOOCs Should Align with Strategic Goals: Every institution needs a MOOC strategy. This strategy may be an affirmative decision not to sponsor and support a campus MOOC, or perhaps the decision will be to partner with a for-profit or non-profit provider. Maybe the decision will be to do neither of these things, and leave the decision to offer a MOOC up to individual faculty. Whatever is decided, policies need to be crafted to support faculty and protect the institution at each step. Investments, and expected returns on investment, should be analyzed and then made available to the campus community. A communications strategy around MOOC decisions is as important as making these decisions in the first place. We are now at the point where campus leaders cannot take a “wait and see” attitude about MOOCs – they need to get involved in the conversation. The goal should be that whatever the campus MOOC strategy ends up looking like that it aligns with the larger strategic goals of the institution. Is it important to align MOOC with strategic goals? Definitely, for instructivist MOOCs. I have shared my views on MOOC and future education here. 6. The Danger Of MOOCs as a Money Saving Substitute: I’m really worried that some provost or dean will get the idea to save money by having local students enroll in some edX or Coursera MOOC. The pitch will be that the local institution will provide “robust” tutoring and access to “small group” discussions. The local institution will then quality check by offering independent exams to validate that the material from the distant campus MOOC has been absorbed. The argument will be: “Why not have our students learn from the world’s best professors, wherever they may be teaching”. I think that this is a terrible idea, and will represent an abdication of our responsibilities as learning institutions. Separating our students from faculty by sourcing the role of teaching to the MOOC will save money, but the practice will disallow the development of the relationship between teacher and student that is necessary for authentic learning. I think we need more statistics on costing and learning analytics here, to justify the argument on cost effectiveness. “Why not have our students learn from the world’s best professors, wherever they may be teaching”. This may be viewed as a “disruption” to education, HE in particular. However, I think under the notion of open education and connectivist networked learning, we should encourage and support both educators and learners to work and learn together. This will not undermine the authority or respects of instructors and professors, as that is where we could really “transform” education, by leveraging the most valuable resources on earth – human and agents (experts, networks, artifacts) etc. 7. Be Cautious about Commercial Partners: My last concern around MOOCs relates to the role of commercial and for-profit players in this space. I am 100% convinced that we need vibrant for-profit / non-profit partnerships to spur innovation in higher education. The people I know who work at for-profit education companies are as dedicated to transforming and improving education as anyone I know in the non-profit space. Yet, also know from experience that the incentives for non-profits and for-profits are not always perfectly aligned. Both non-profit and for-profit entities need to think hard about how any relationship to design and launch a MOOC will evolve over the medium-to-long term. Non-profit higher ed has very very long time horizons, an orientation that makes us a challenge to work with. We all need to be judicious as we examine new opportunities to create partnerships around open online learning. This has always been the situations in a commercial world of education, where public and private providers of education are always competing and “collaborating” together. However, it also means that higher education is now undergoing the biggest challenge in history, with profit/non-profit all looking for their bigger piece of the pie. Do you have any MOOC concerns? How to assess in MOOCs? Should MOOCs be based on examinations? What would be the Future of Education? The problems of education are mainly economic, but they arise in a context of rapid technological change, so it is hardly surprising that technology is seen as a solution to cure the ills of the system. I could sense the concerns within HE institutions, where the changes in Higher Education are so rapid that many institutions have to adapt and respond with more innovative approaches. There are concerns relating to the future of education, in particular when it relates to the adoption of technology and internet in education and the use of MOOCs. Would this bring forward the education revolution that some professors have predicted? 1. How will MOOCs make money? Various ways of making money though MOOCs are discussed there. One of the more provocative potential business models for MOOCs is to bypass credentialing altogether. Udacity has suggested that it might double as a headhunter for companies that might like to hire some of its more impressive students. Instead of simply selling those students credentials that they can list on their resumes while looking around for jobs, Udacity would offer to match students with companies that have enlisted Udacity as a talent scout. (The company has already hired a full-time jobs counselor to lay groundwork with potential employers.) Udacity would take a commission for each successful match, same as a headhunter. A sustainable model would need to be based on a fee for service – i.e. requiring a fee for the award of a certificate from the University. “So far the only revenue stream that the major new MOOC providers have said they will pursue is charging a fee for a certificate.”To what extent would institutions be ready for the development of a business model and plan? What would be the actual running cost per participant who successfully completed in a MOOC? These are important considerations for any Higher Institutions, before they would embark on MOOC. 2. How will MOOCs provide credentials for recognition of prior learning and associated assessment? The use of open badges may be one way to recognition of any informal or non-formal learning or studies, together with any formal learning or study through the MOOCs (edX, Couresa, MITx, Udacity, Stanford AI) etc. 3. What pedagogy work best with the MOOCs (edX, Couresa, MITx, Stanford AI) and the connectivist MOOCs? Is flipping – the classroom with short videos the way and pedagogy to design and deliver such MOOCs? While none of the existing OSOSS consider themselves learning communities, learning is happening among their users, and happening in an extremely innovative manners. A distributed expertise model obtains in sufficiently large distributed learning communities, meaning that because expertise exists across the community no individual community member is overly burdened with the primary responsibility for answering questions and providing feedback. These sort of interactions couldn’t be emphasized more, even in virtual synchronous classroom learning environment as Steve mentions that everyone contributes to the class, leading to positive learning experience. The move towards more online education and learning, with a MOOC movement seems to be accelerating. Here I have shared the challenges that we are facing when designing, developing and learning with MOOCs. The first challenge is: Should the learning design of MOOC be based on Cognitivism, Constructivism, Social Constructivism, Situated Learning and/or Connectivism? The second challenge would be whether structured education and learning is better suited to learners to semi-structured education and learning, in the case of MOOC. How much structure should a MOOC or MOOOC has? Computer technology can provide support to many different educational pedagogies. Drill and practice software can accelerate behaviorist methods, while the vast amount of knowledge on the Internet furthers the constructivist argument. Since the knowledge available is both overwhelming, yet fairly easy to attain, creating learners that desire to learn and can acquire knowledge on their own will lead those learners to success. Learning communities provide a support structure to learners taking this path. Courses delivered online have student populations that are separated by distance so extra thought is needed to make an online course become a learning community. What might be the different types of MOOCs offered in future? 1. Skills and competency based MOOCs – the Just-in-Time skills could be relevant to those working in industry, while skills achievement are important at work. The instructivist MOOCs (edX, Couresa, MITx, Udacity, Stanford AI) would likely be the popular MOOCs for learners. 2. Theory and application based MOOCs – this relates to the development of new and emergent theories, knowledge and possibly applications at work. The Connectivist MOOCs (CCKs, PLENK, CritLit, Change11, LAKs) are typical MOOCs. 3. Research based MOOCs – These have been incorporated in the recent Change11 and PLENK. 4. Professional Development based MOOCs- the eportfolio MOOC, eduMOOC, mobiMOOC, FSLT MOOC, and wikieducator. 5. Business and Marketing based MOOCs. 6. Personal interest based MOOCs – these are networks and communities that formed all over different social media, often mediated by and with technologies. 7. Learning and Community based MOOCs – these are a combination of theory and application based and skills and competency based MOOCs. There are many other types of MOOCs as Kurt mentioned, though I think they would soon converge or amalgamate to a few major MOOCs. What are the values and implications when more educators and learners are resorting to the use of MOOCs in their courses? Here I have shared the values of MOOC. As George stated in his post: “Our goal with the course was to communicate how individuals learn in distributed networks and to do for teaching what MIT’s OCW did for content.” Each of the course organisers of MOOC must also have their goals in mind. How these MOOCs are designed and delivered would be based on the goals (or vision and mission) set forth by the organisers. To this end, I would like to share that education is a never ending process (or business) where the goals are ever changing in this rapid changing world. I have posted here relating to learning with Connectivism and ANT. ATM – denotes Computers – hardware/software, etc any internet, ICT, Learning Management Systems (LMS), Search Engines, Web 2.0 tools – blogs, social networking tools: Youtube, Myspace, wiki, Ning, Delicious, Twitter & Tweeter, FB, and many others emergent technologies or tools like Cloud computing, Mobiles, (non-human appliances). Money – denotes the resources resided on the internet or social networks (or even our own networks (brain?, conceptual networks?) 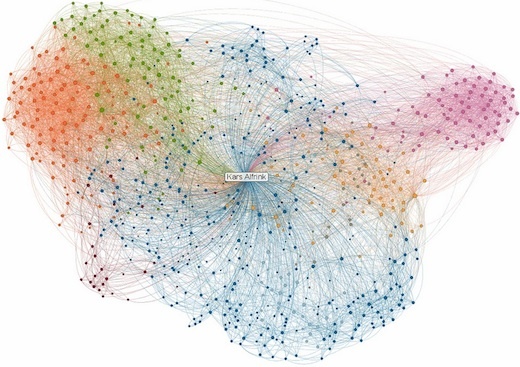 if there are connections and interactions of these networks)- information, links, articles, extracts, aggregates of “knowledge” or any artifacts – on-line or hard copy of books, e-portfolios etc. So fake money could include fake information, incorrect information or spam. 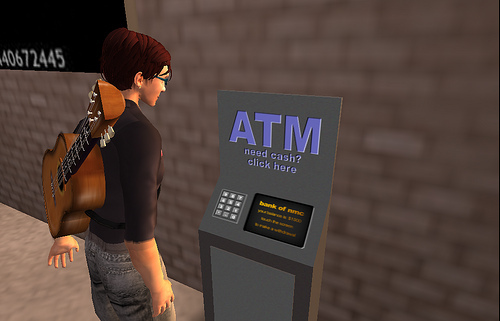 However, you could also use abstract concept of these like virtual ATM, virtual money (such as internet banking) to represent the concepts behind learning – the immersive virtual learning ecology and SL with Linden as the Money etc.. This could be linked to all the learning concepts as introduced by Stephen Downes – where learning is ontology, non-propositional, emergent, and a continuous process that DOES NOT MEAN the acquisition of knowledge BUT merely as a networking process….which to me would be another way of looking into learning, from a more CONNECTIVIST and philosophical point of view. Would this be a “connectivist” approach towards connectivism where all different approaches (all the metaphors suggested as per the posts, including Roy, Ulop, Frances (ANT), and many others from Instructivist, Cognitivist, Constructivist, Connectionist approaches and those of Stephen and Georges’ Connectivism principles are connected and interacted to reveal an emergent pattern of knowledge and learning? I don’t know! 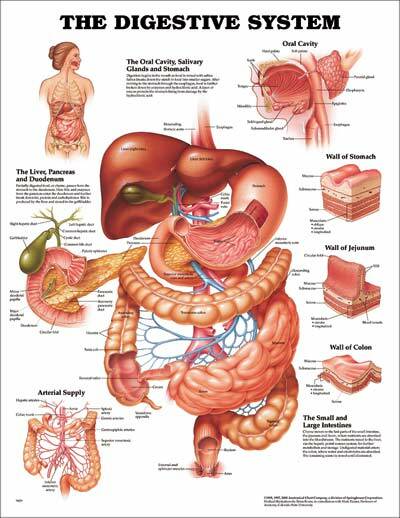 Though there may be a lot of uncommon or “seemingly conflicting” views amongst them, I could see a lot of common grounds connecting them together, just like the metaphor of the digestion system in our human body. Great that we have come to some common themes on learning. I think it’s imperative to distinguish human learning from the learning “that may reside with non-human appliances”. An example is when you go to ATM to get money. The ATM has “learnt” how to issue the correct amount of money you have keyed in and issue you with the money with receipt. So the ATM processes your order based on an algorithm and a process run by the machine and computer, and that is taught by human. Such processing of money for you is similar to concepts adopted by artificial intelligence. Now, what happens if someone put fake money into the ATM. So you will also receive those fake money when you use those ATM. For the ATM, it has “learnt” to give you the money you have requested, but it hasn’t learnt to check if the money stored was fake or not. So, if you receive the fake money, it isn’t the “fault of the ATM” and the ATM is 100% accurate in learning and “highly intelligent” in accordance to our human initial design. Once you realise such problem of fake money, you may then re-design the ATM so that it could check for fake money. So, you would then teach the ATM to check the fake money (bank notes) before it issues any money. Through this process of learning by you and your re-design of the ATM, the ATM is learning through you as human how to ensure that only real money is issued to the customer. The ATM itself can only learn how to do the job through human intervention. By itself, it isn’t as smart as human. And sometimes, the ATM may fail to check whether the bank notes are fake or not if there are changes in the design of the bank notes or there could be mistakes made due to the malfunction of the “ultra-violet” detector (say due to failure of the detector) of the ATM. So, you may then rely back on human to check if the money is fake or not. The above metaphor is again trying to illustrate how smart human are as compared to machine. Similarly, I don’t think there has been any machine that is built which could simulate our digestive system so far, as we could cleanse any toxins through our body organs and eject waste which are useless for us. I would like to learn if such a machine exists in this world which could do all these! 1. Human learns through a biological and a neuro process with the brain (just like the digestion metaphor), and it is different from machine learning in that the machine can ONLY learn when the human teaches it (even if it’s artificial intelligence). You may claim that a machine can do some “learning” by itself, but as the above example illustrates, it must start from human. And a machine may fail to learn if the human doesn’t teach it to learn properly – fake money will be issued to customers without notice or warning, though the ATM is functioning 100% effectively and efficiently. 2. In human learning, there are some common learning principles with non-human learning (animals or even appliances). These include the observable – the Stimulus-response classical conditioning by Pavlov. Classical conditioning is the study of learning which involves reflex responses, in which a neutral stimulus comes to elicit an existing reflex response. Please note that Pavlov’s work on the physiology of digestion, begun in 1879, earned him the Nobel Prize in 1905. He first became aware of reflexes by reading Sechenov’s work while still at seminary, but his own research on what became known as classical conditioning did not begin until about 1902. At this time, while still studying in digestion in dogs, he noticed what he called ‘psychic salivation’ – a dog would salivate before it was actually given food. Since Pavlov believed that digestion involved series of reflexes, he set out to determine what controlled this anticipatory response. Ultimately, his work on conditioning overshadowed the research which had earned him the Nobel Prize. 3. I try to distinguish the human from non-human learning to avoid the confusion arising out of the studying of the non-human appliances, ants, spiders, pests in their life cycle, its ecology from human, especially when we are referring specifically to learning over the digital ecology, the net, virtual networks, and communities. There may be a lot of learning embedded in such social and ecological studies, and so I will leave it to the Biologists, Sociologists and Social Scientists or YOU to investigate. Sometimes, there might be a similar pathway in adopting the “behavioural” approach by observing the behavior of those creatures and generalizing them on human. Would this be what Pavlov had tried to do? However, I do think we have overlooked his work on the physiology of digestion. I have now used digestion as a metaphor on learning. I must admit that I don’t know all his work on signal conditioning (and have forgotten what I have read years ago) until you asked me now. Please see Approaches to Psychology by William E. Glassman 2000 (that I bought more than 8 years ago). The Actor Network Theory that looks at the socio-technical aspects? What do these Theories have in common, and what about their differences? Postscript: Just read this Verhagen, P. (2006) Connectivism: A new learning theory? http://elearning.surf.nl/e-learning/english/3793 on 26 Feb 11. that also discusses on learning that may reside with non-human appliance. I have also shared my views here. I will continue to reflect on the recent MOOC initiatives and Khan Academy in coming posts.